Prev Page DWTS Peta Murgatroyd And Lacey Schwimmer Attend The DailyCandy Deals And OO.com Shop The Night Away In L.A.
Thursday night at the Sayers Club in Los Angeles, Val and Maks Chmerkovskiy attended GUESS’ and GQ Magazine’s party to help celebrate GQ’s November music issue (currently out in news stands everywhere). Rapper Theophilus London and music by DJ Michelle Pesce were the entertainment for the night. Above are two pictures of Maks and Val. You can view more of the two here. Joe Jonas, Jamie Lynn Sigler, Dominic Mongahan, Stephen Amell, Michael B. Jordan, and Jesse Williams were also in attendance. According to a Pop Candies video that we posted earlier, Derek Hough was also at the event (or atleast for some or part of it? 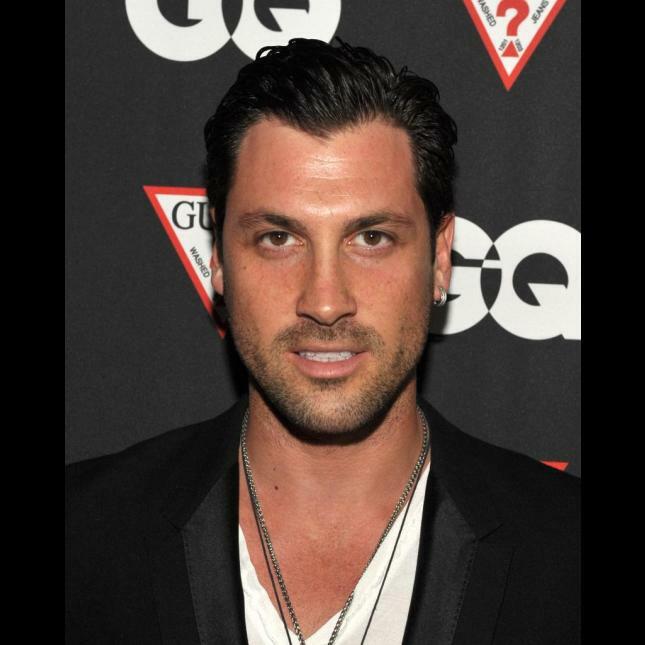 Maks said Derek was at his table), but, there are no pictures of him that I can find so far. If we find some, we’ll be sure to post them. 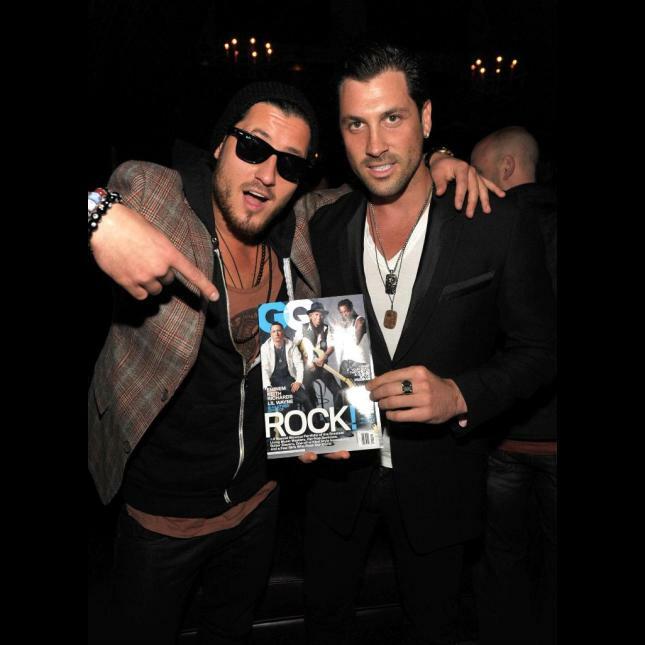 4 responses to "DWTS Val And Maks Chmerkovskiy Attend Guess + GQ Celebration Party"
Someone please tell me that Val is not wearing a tee shirt, a hoodie and a sport coat. And, if he is….is this really in fashion? Love those guys! Thanks for the pics! They both have a strange fashion sense or lack of. LOL But who cares when they look so good. DWTS Peta Murgatroyd And Lacey Schwimmer Attend The DailyCandy Deals And OO.com Shop The Night Away In L.A.